Recipes From Indian Cuisine Potluck-Post here! How to Organize an FMVeg Event! Wondering what to do next to become veg? Resource list! Vegan Bake Sale, and KWAICIAN! This Saturday! Annual Vegan Pancakes and Sausage Fundraiser at St. Stephen's! Wondering what to bring to Gentle Thanksgiving? Rustica Vegan Menu until Saturday! New Meetup: Dr. Neal Barnard speaks at Barnes and Noble! See you tomorrow at VEGFEST!!!! All hands on deck!-Parade for VegFest!!! Are you vegetarian? Vegan? Or are you just curious about exploring a more compassionate or maybe a healthier lifestyle? 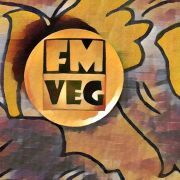 <br>Everyone is welcome at FMVeg! Have delicious vegan meals, share your favorite recipes and make new friends! <br> Children are always welcome. We have monthly vegan potlucks, go out to vegan friendly restaurants,<a href="http://www.meetup.com/fm-veg/pages/Communit..."></a> as well as informational meetings, cooking classes, our annual VegFest, and recipe swaps! Do you have a friend who might be interested in joining? ...tell them to go to FMVeg!!! If you want to talk to a real person, give Kathleen a call at 218-303-4407, and at the prompt, say "(your name) from FM Veg", and I will either pick up or get back to you. FMVeg was founded in August of 2006 by the late great Ron Richard, a man ahead of his time. We are so grateful to him.